The 49ers had to be pleased with what they saw out of their starting unit in Thursday night’s 10-6 preseason loss to the Denver Broncos. The starting offense looked crisp in their one and only drive that resulted in a field goal. Colin Kaepernick went 4-4 with 38 yards and had a nice 6 yard scramble on third down to move the chains. He looked comfortable and seemed to be in sync with Anquan Boldin, finding him twice on the drive. Possibly the most impressive play was when Denver linebacker Von Miller got pressure quickly and Kaepernick escaped, rolled right and hit Marlon Moore for a 12 yard gain. Moore made an outstanding catch on the play. It’s worth noting that Moore started opposite Boldin at receiver. He did rotate in and out with A.J. Jenkins during the first series however. LaMichael James also did a good job running with the first unit. The 49ers will have to find a way to get him the ball this season. The first string defense showed up in their only series as well, forcing a Denver punt. Aldon Smith got pressure on Peyton Manning which caused a third down incompletion on a pass intended for Wes Welker. Ian Williams continued to impress at nose tackle. He looked strong, collapsing the pocket consistently which helped Dan Skuta record one of his two sacks. Justin Smith and Patrick Willis both sat out the contest. Vance McDonald showed up on the stat sheet catching four passes for 66 yards. If he can be an immediate threat in the passing game, the 49ers should be very pleased. Eric Reid did not start, but did have some big hits in his first game. Corey Lemonier was outstanding in the pass rush, as he forced Brock Osweiler out of the pocket on multiple occasions. Linebacker Nick Moody injured his knee during the contest but tweeted after the game that he was fine. In addition to Moody, quarterback Colt McCoy left the game with a stinger in his right neck and shoulder area and will undergo an MRI. He believes the MRI is just precautionary and he’ll be fine. Defensive back Raymond Ventrone also left the game with a hamstring injury. A.J. Jenkins had a bit of a rough night. He caught a pass, turned up field, was stripped from behind and fumbled the ball away. When asked about Jenkins, Harbaugh did not sugarcoat the issue. Jenkins did apparently run his routes well but the 49ers need to see production out of him if he has any chance to start or see significant snaps this season. 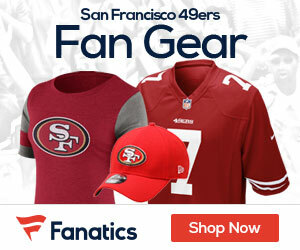 Be the first to comment on "For starters, 49ers first unit looks good in preseason opener"